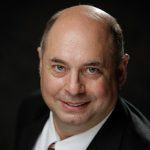 At a recent meeting of the Connecticut Real Estate Investors Association (CTREIA), the speaker, Robin Thompson, mentioned discounts Lowes will give investors, real estate agents, contractors, and other businesses and how some are tied to the Community Buying Group membership. Since I had a rehab project coming up, I decided to try to figure out how to get the most Lowes discounts, and what I had to do to take advantage of them. What I found is that in order to get the maximum discount, one needed to combine two of three programs, including LAR, QSP, and, for an additional 2%, the Community Buying Group. First the easy discounts that anyone can get, either online or at the Lowes “Pro Desk”. Lowes has a variety of credit plans, including a consumer store credit card, a business store credit card, and an American Express Rewards Card. Any of them will get you 5% off every day, but only the Lowes Accounts Receivable (LAR) account will get you an additional 2% off every order paid Net20. What’s the difference? The credit cards are revolving accounts, like Visa or Master Card, but can only be used at Lowes. 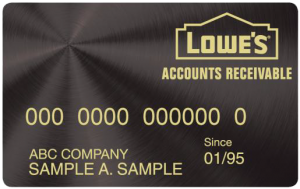 The Lowes Accounts Receivable LAR card is an account that must be paid off each month. Make sure you get the LAR card! Next, if you are buying items that cost more than $2500.00 (that is their minimum limit today. It has been as low as $1000), you can submit your list at the Pro Desk for the “QSP” (Quote Support Program). It the depends what you are buying, but I have seen discounts of just shy of 12%. As an example, if you are outfitting a kitchen with appliances, you are going to find they give the discount stores a run for their money! Those discounts add up. We’ve bought over $10,000 at Lowes over the past month or so, and save over $1200. No, you will not get the 5% discount on products bought under the QSP. The last piece of the puzzle to get the maximum Lowes discount, is the Community Buying Group (CBG). They save you 2% at Lowes, and money at Sherwin Williams, Sunbelt Rental, and over a dozen other national stores. The cost for membership is either $99/year, or if you are a member of an “affiliate group”, like CTREIA, it is free. Is your group a member? It makes a great benefit that should save any serious investor more than the membership fee! You see your savings on your Lowes Accounts Receivable LAR account, but you must pay by the 20th of the month. Lowes has multiple discount programs for investors and real estate agents, and all of their credit programs give you 5% off. Applying for a Lowes Accounts Receivable LAR account can take a time (but could be instant), and the Community Buying Group 2% discounts could take a month or more to attach to your LAR account, so you want to get these ducks in a row before you need them. I have not done an extensive price comparison between Lowes and Home Depot, so your mileage may vary. Next I will be looking into Home Depot’s gas discount program. 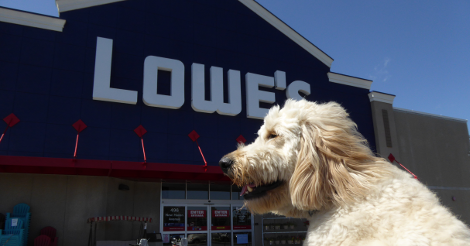 Oh, by the way, Lowes is dog friendly.